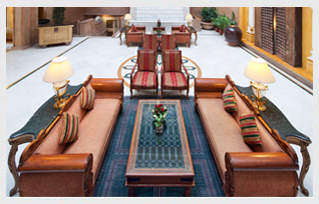 The group’s new abode of luxury – MANSINGH TOWERS – created especially for the corporate traveler. Designed to mix business with pleasure. Mansingh Towers promises to offer excellent service. A comfortable and prompt sit down check-in offers a choice of 8 Lavish suites and 45 Luxurious rooms. Personal Jacuzzi in every suite. 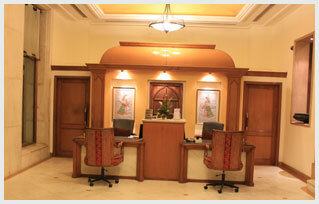 Mansingh Towers, Jaipur provides the sublime blend of luxury, comfort and competent service.